Serpa Automotive Boutique > News > We are pleased to announce the arrival of this beautiful, rare work of art! We are pleased to announce the arrival of this beautiful, rare work of art! We are so please to announce the arrival of this beautiful, rare work of art! 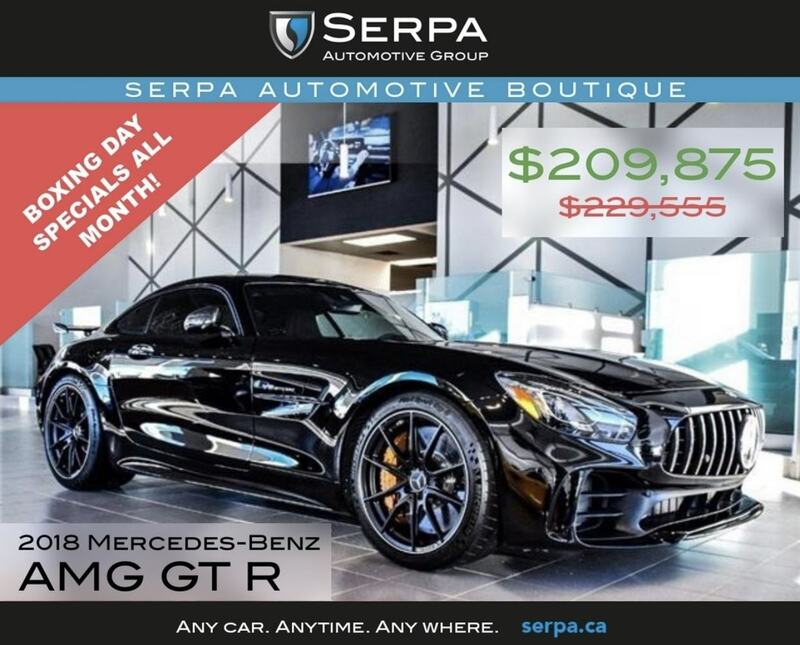 Our 2018 Mercedes Benz GT-R only has 1011 KM’s on the odometer and has stolen the show in our showroom. Come in today to inquire about this vehicle, or any of the others because our BOXING DAY SALE IS ON FROM DECEMBER 1ST – DECEMBER 31ST!